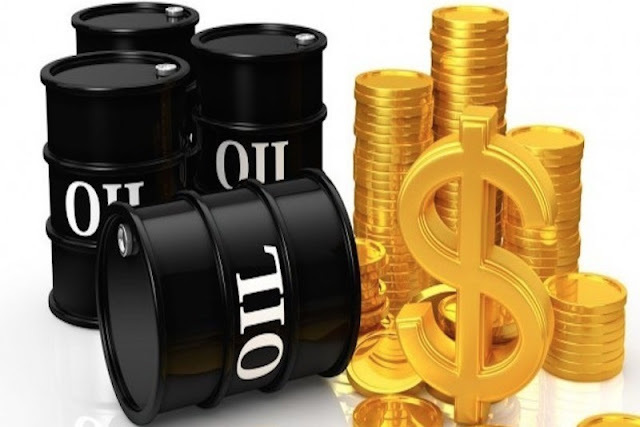 Crude oil prices extended losses Monday as Saudi Arabia and Russia said they might increase supplies to the international market, while United States production gains show no signs of slowing. There are signs that output from the three top crude oil producers – Russia, the US and Saudi Arabia, would climb to meet concerns about supply amid strong demand. Global benchmark, Brent crude futures stood at $75.35 per barrel, down $1.09 from the previous close and after touching a three-week low of $74.49 earlier in the session. US West Texas Intermediate (WTI) crude futures were at $66.69, down $1.19, after hitting a six-week low of $65.80. Brent and WTI have respectively fallen by 5.5 per cent and 7.5 per cent from peaks reached earlier this month. The Organisation of the Petroleum Exporting Countries (OPEC) and other producers led by Russia began withholding 1.8 million barrels per day (bpd) of supplies in 2017 to tighten the market and prop up prices that in 2016 fell to their lowest in more than a decade at less than $30 a barrel. To address potential supply shortfalls Saudi Arabia, de-facto leader of producer cartel OPEC, and top producer Russia, have been in talks about easing the cuts and raising oil production by 1 million bpd. Meanwhile, surging US crude oil production showed no sign of abating as drillers continue to expand their search for new oilfields to exploit. US energy companies added 15 rigs looking for new oil in the week ending May 25, bringing the rig count to 859, its highest since 2015, in a strong indication that American crude oil production will continue to rise. US crude oil output has already surged by more than 27 per cent in the past two years, to 10.73 million bpd, ever closer to Russia’s 11 million bpd. However, increased US crude oil exports to Asia, supported by a wide WTI-Brent spread, are reportedly eating into Asian market shares of OPEC and Russia, the cartel’s ally in the production cut pact. The United States is expected to export 2.3 million bpd of crude oil in June, including 1.3 million bpd bound for Asia, according to estimates by a senior executive at a US oil exporter who spoke to Reuters. US crude oil exports hit a record high 2.566 million barrels per day in the second week of May, according to EIA data. The record-high US oil production and the emerging constraints in the takeaway capacity has pushed WTI crude oil to the widest discount to Brent Crude in three years—at around $9 a barrel, while Brent prices have been supported by geopolitical concerns of possible supply disruptions from the Middle East and plunging production in Venezuela. Asian refiners have seized the opportunity to boost the cheaper US crude oil imports and are cutting some pricier imports from the Middle East, particularly after Saudi Arabia’s recent pricing policies that raised prices for the Asian markets.